If you recall, a few months back word got out that Red Fly Studio was working on a new video which would have chronicled the origins of the Sith Lord Darth Maul. The game, which would have been similar to the Batman: Arkham series, was cancelled in 2011, but the studio is now apparently trying to revive the project. The CEO of Red Fly Studio, Dan Borth, revealed in a recent Reddit AMA that the studio was working on reviving the game and encouraged fans to tweet their support using the hashtag "#WeWantMaul" to Disney and Lucasfilm accounts. As for what the studio is doing, Borth revealed that they are "currently working on a full next gen demo of all things Maul to show to the powers that be. It's been a lot of work on our off time" and that to bring the game back they "need to approach EA with a demo that will impress them. I think we have that or are close to it. Still it is completely not up to us." He also stated that he would hope "EA will see the value in us reskinning our combat mechanic to be more in line with what they are thinking for Star Wars if they are not interested in maul." He also revealed that the game was originally going to follow Maul from when he was just days old to right before The Phantom Menace. It would have also featured a cut scene where Sidious kills Plagueis in his sleep. The game was later slated to be set in The Clone Wars era, and would have seen Maul teaming up with his brother Savage Opress. 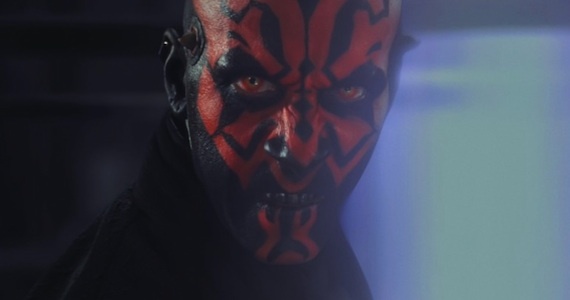 It was later moved to the "Legacy" era of the old Expanded Universe, at the request of George Lucas, and would have featured a character who was a lot like Maul teaming up with Darth Talon. Borth stated many more Sith were designed for this iteration of the game. But don't expect the game, if it's even resurrected to look anything like the old ideas. Borth makes it clear that, while he and his team liked their old ideas, should the game be resurrected the Lucasfilm Story Group and Disney would have the final say in what the game was. In a perfect world they would do Maul's origin story but they're open to anything, including a post-The Clone Wars Maul story or a game about a different character. Would you like to see the Red Fly Studio Darth Maul game resurrected? Let us know in the comments below. (Also, check out this demo that was created for one of the versions of the game. Borth noted during the AMA that this was just a demo and that had the game gone any further they would not have had the Death Watch soldiers fighting with Darksabers - as there is only one Darksaber). Dfinitely want, would be perfect if it was in a pre-TPM/TPM setting with the final battle with Kenobi/Ginn included. Darth Maul survived TCW series. so why not set it between TCW en ROTS? Yes. Yes. Yes. A thousand times, yes.